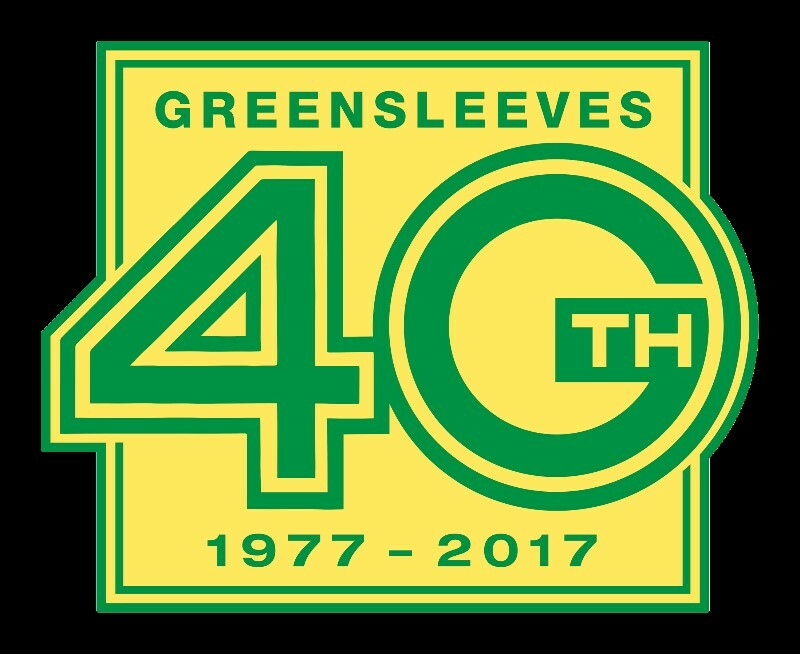 Legendary U.K. based reggae label, Greensleeves Records will celebrate its 40th anniversary with new and commemorative product releases and multiple events in London, Paris and New York throughout Spring and Summer 2017. The festivities will commence in April for Record Store Day and continue through September capping at the Notting Hill carnival in London. Key releases this year include new albums from current label heavyweights Alborosie and King Jammy, plus re-issues and compilations from the historic label catalogue. Greensleeves has continued to flourish since becoming part of VP Records in 2008 and continues to prevail in retaining its own identity, making its 40th anniversary a true celebration. Greensleeves Records was founded in 1977 by Chris Sedgwick and Chris Cracknell after the two reggae enthusiasts moved their record shop to Shepherds Bush, London. Through licensing and commissioning original recordings from Jamaica’s top producers, Sedgwick and Cracknell built a formidable catalogue of essential reggae while catering to the developments of lover’s rock and dancehall reggae styles. The label is also hailed as being the launch pad for the successes of legends Barrington Levy, Shabba Ranks, Beenie Man, Mr. Vegas, Shaggy, Elephant Man Vybz Kartel and more. 1977 was a seminal year in music and Greensleeves played a significant role in catapulting reggae onto the international stage. Now, with its 40-year anniversary, there couldn’t be a better time to initiate celebrations for a label that began in a record shop, than on Record Store Day – a day for international music lovers and vinyl collectors. On April 22nd, Greensleeves releases the limited press 7″ EP titled “White Man In Hammersmith Palais.” The title is from the 1977 song by the punk rock legends The Clash, inspired by a concert line up that featured Ken Boothe, Dillinger, Leroy Smart and Delroy Wilson. The 7″ EP features a hit from each of the four artists, packaged with a replica of the concert’s promotional poster. June 21st is Paris Music Day, and the label plans to commemorate its 40th anniversary with an outdoor sound system performance by Blackboard Jungle Sound on the grounds of the Cite De La Musique: Philharmonie De Paris in Paris, France. The museum is the site of the current exhibit on reggae culture titled Jamaica Jamaica! On the same day, the label plans a 40th anniversary celebration concert at the legendary BB King’s in Times Square, New York. Events will continue in London through August and September including the Greensleeves 40th celebration concert at the One Love Reggae & Dub Festival. Though Greensleeves label mines the catalogue for collector’s packages each year, the 40th anniversary boasts classic album re-issues from Hugh Mundell, Augustus Pablo, Keith Hudson, Sylford Walker, Linval Thompson and more. Further emphasizing the depth of the combined VP/ Greensleeves vault, the company will release 40th anniversary editions of Culture “Two Sevens Clash,” “African Dub Chapter Two” by Joe Gibbs and a three LP/ three CD, 40th Anniversary edition package of The Congos “Heart Of The Congos.” Greensleeves 40th anniversary promises to be a collectors dream, with multiple classics available with rarities and extras. Also, coming this year is the forty-track “Total Reggae – Greensleeves” giving fans a four-decade overview of Greensleeves label classics. “We are very proud of the legacy of the Greensleeves label and all of our joint successes so far,” said Randy Chin. President of VP Records. “We will continue to nurture and enhance this catalogue that is essentially a history of the music. Here’s to the next 40 years,” Chin continued. “Greensleeves Record label is riotous, razor-sharp and perennially cool” notes U.K .journalist John Masouri, “it’s a grand archive, with many of the best reggae and dancehall recordings ever made.” The label has remained faithful to the music and is worthy of the celebration.